So this book has a very pretty cover, one of the most beautiful cover in YA books I’ve ever read. Seriously, I feel like I can’t stop staring at it. It also has intriguing title and blurb that scream to me to read it. 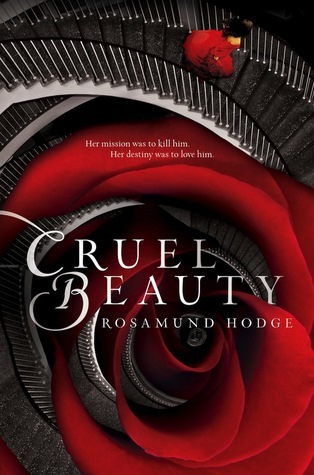 Add it with Beauty and the Beast retelling and from what I read on other reviews, it also has Greek mythology. I so love Greek mythology but most of YA books with Greek mythology didn’t work well for me or only has a little bit of it. With all of those good things, it seems too good to be true for me. That’s why at first I was kind of hesitated to read this book.First couple of chapters were quite surprising me, in a not-so-good way. I was confused with many things in this book. The worldbuilding and setting, it was hard for me to imagine it. It was quite complicated world I have to read carefully to understand and then picture it in my mind. Add it with the words choice that the author used. I found that there were unfamiliar vocabularies (at least for me) here and since English is not my first language, in a way I have limited vocabulary, I have to keep looking at the dictionary to know what it means. I also didn’t know and never heard of Hermetic which is one of the important thing in this book. So I have to rely on Google to know what it is. Long short story, I was confused! On the other hand, the characters captivated me since they were introduced. 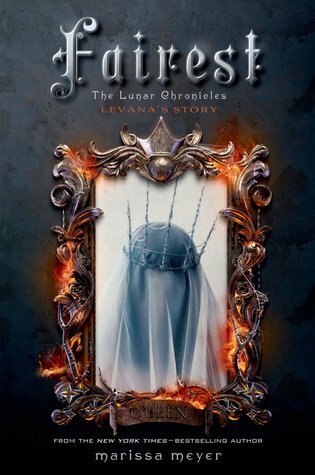 I felt sorry for Nyx, the main character in this book, mad to her father, her aunt and her twin sister Astraia, and couldn’t believe how come her father has a heart to sacrifice her to the demon lord to pay his bargain. And I was so curious of the demon lord himself, Ignifex.The more I read, more curious I become. Hence, it was easier for me to read it once I got the main picture. And then my confusion turned into curiosity that kept me reading it. Since it’s a retelling I can guess where the story will go. But I also keep wondering and questioning whether my guesses were right and all the while the what, why and how keep swirling in my head. And I just love that feeling when I keep questioning and wondering the story I read. In some part it made me forget that it is a retelling. I felt this is a refreshing story, an unoriginal yet feel original story, if you know what I mean. And there is also one thing that I love from this book, Greek mythology as subplot. So here I got Beauty and the Beast retelling blended perfectly with Greek mythology, though I have to say it also has so much more. In first part of the story, it was quite slow since Nyx needs to describe her world and its complexity but it’s written beautifully I can’t help to not love it. I’m glad I give this book a try because in the end I love love love it. 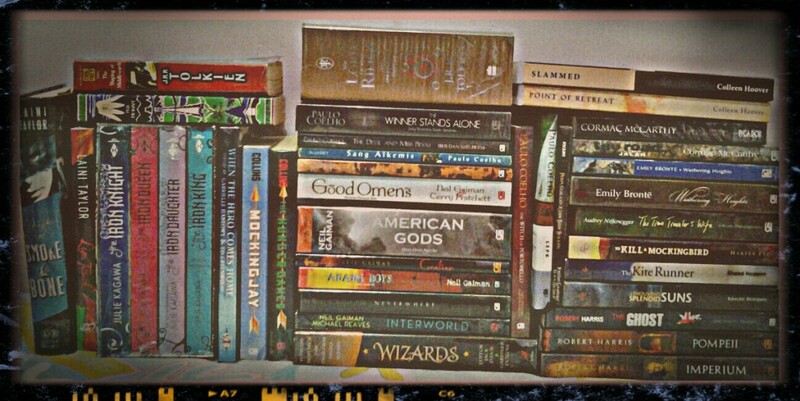 After 23 books, I finally found my first five-stars worthy reading for this year! 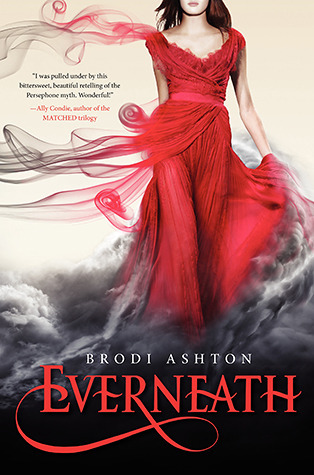 Last spring, Nikki Beckett vanished, sucked into an underworld known as the Everneath. Now she’s returned-to her old life, her family, her boyfriend-before she’s banished back to the underworld . . . this time forever. She has six months before the Everneath comes to claim her, six months for good-byes she can’t find the words for, six months to find redemption, if it exists. Nikki longs to spend these precious months forgetting the Everneath and trying to reconnect with her boyfriend, Jack, the person most devastated by her disappearance-and the one person she loves more than anything. But there’s just one problem: Cole, the smoldering immortal who enticed her to the Everneath in the first place, has followed Nikki home. Cole wants to take over the throne in the underworld and is convinced Nikki is the key to making it happen. And he’ll do whatever it takes to bring her back, this time as his queen. 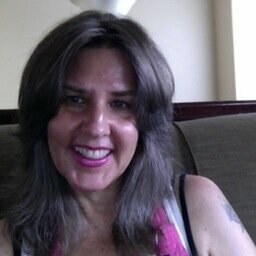 Nikki is the main character and the narrator of this story. I think she’s a brave girl, in a way. I really liked when she stand up against Lacey and her friend when she heard they were talking about her. She isn’t a popular girl in her high school. Although there isn’t anything that mention that she’s a nerd/geek, I think there’s a bit geekiness in her which makes me liked her even more. Regarding with herself and her relationship with Jack, she’s kind of moody, impulsive and wishy-washy. There were a couple of times when she acted instantly without thinking of the consequences which made her regret it later.Cole is an Everliving. A former human who belongs to Everneath and needs to Feed from human soul for the rest of his immortal life. He’s a guitarist from a popular rock band. He’s the one who made Nikki gave up her life in order to erase her pain. They are get attach to each other because of it. He can be persuasive, sweet and evil at the same time. I really liked him, especially in the beginning of the story and feel sad for him for most of the time. I think I liked him more than I liked Jack because he’s more complex and complicated among other characters. Jack is the good, kind and sweet character in this story. In some part he’s too good to be true and kind of bored me, especially when he talks all the sweet talk to Nikki, about how he couldn’t live without her, missed her like crazy and whatnot. But at the same time, I liked that he’s persistent and never give up on his relationship with Nikki. I can say that I liked and enjoyed reading it much more than when I read Henry and Kate story. It can make my mind keep wandering and questioning the story, signs that I’m into it, while Henry and Kate made me cringed and got headache most of the time. The more I read it I can see that it isn’t just about Hades and Persephone but also about Orpheus and Eurydice. I really like the idea to combine 2 stories in one perspective. I think it makes this story quite different and unique from other retelling. Well… at least for me since I never read something like this before.I liked that the story is divided into two parts, Nikki’s time before and after being a Forfeit. The way she tells her story is what I liked the most. She’s always counting down the moment before she becomes a Forfeit and when she has to go back to Everneath. In the end, the end of one life means the beginning of Nikki’s other life. However first part of the story, especially when she still has months in the Surface, goes too slow. She only has 6 months on the Surface to do what she has to do, her reasons to choose to Return but most of the time she’s moping around and do nothing. Doesn’t even try to pay more attention to Mary which is kind of obvious there is more to her than what it seems. She only starts doing something when Jack begins talk to her again. It feels like she couldn’t do that without him. Even at that time she still holds important things from him a couple of time which is kind of annoyed me. I also don’t understand why they don’t talk about the reason that made Nikki become a Forfeit as soon as they able to be friends again. And then everything seems go faster when she only has one month left in the Surface, suddenly she thinks a lot of thing and tries to get the answer soon and everything feels in a rush. Despite this book is under paranormal genre, I think the most prominent thing is the romance part. It’s obvious there’s a love triangle between Jack, Nikki and Cole. When I read about love triangle, I rarely take side of whose team I am, though sometimes I have my own likeliness. Now I do understand why most readers are gushing about it and are torn between Jack and Cole. Both of them have something that I liked and also disliked. They do good things as much as bad thing for Nikki and I understand why they do that. It is so good it’s hard for me to choose who I like most. That’s kind of unusual for me because usually it’s easy to fall for one of the characters in the story. But if I have to be honest, I liked more Nikki and Cole relationship than Nikki and Jack. Just like Cole said, it’s hard to connect with Nikki and Jack relationship. Their relationship is based on long term friendship hence it feels save for them (and sometimes boring) while there is fire, love/hate feeling with Nikki and Cole relationship. Hence it makes them more interesting. So the conclusion is the book has everything I love, Greek mythology with hieroglyph clue what needs to be solved, good storyline, awesome characters, but I think I need to see how the sequel goes. So I’ll save my star for it and give this book 3.5 stars. Hello my friends, I’m so excited now because I’m doing something different today, a cover reveal! 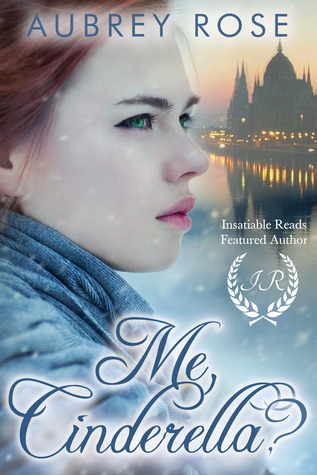 This is my very first time join the cover reveal, hosted by Shane Morgan from Itching for Books, without further ado please check out Heidi Garrett’s Beautiful Beautiful. 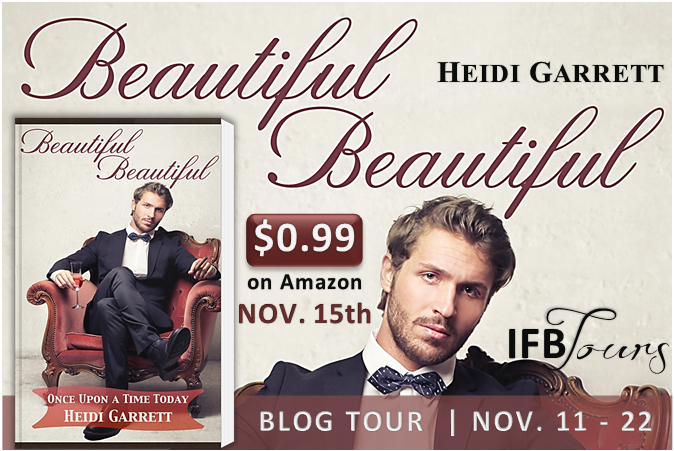 Beautiful Beautiful, a contemporary fairytale novella, is the first release in Heidi Garrett’s new Once Upon a Time Today collection. And do you want to have its copy? there is a giveaway below, just don’t forget to enter it. Brynn Tomlin could never afford to follow her heart. But when she sees a stranger shivering in the snow outside of the college library, an inexplicable urge leads her to buy him a hot cup of coffee. It’s just a small act of kindness, a few words of conversation. Brynn should be focusing on her finals, after all, not on the man who looked up at her gratefully with piercing blue eyes. 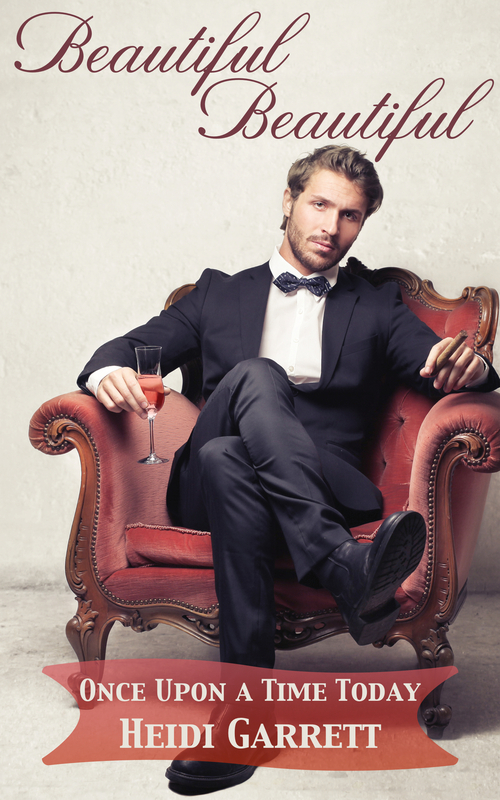 He could have been anyone – a janitor on break, a graduate student, a bum. But the man standing outside in the cold turns out to be Dr. Eliot Herceg, one of the most brilliant minds in mathematics and heir to a fortune. After years of reclusive isolation, he now finds his heart awakening to the kind girl whose name he does not know. This is a sweet-different retelling story of Cinderella. Brynn surely isn’t Cinderella, though her life slightly has similar story with her. I love that Brynn always knows what she wants and stood for it. 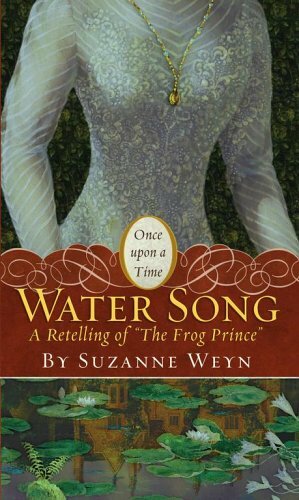 She fights hard for her life, dreams and love, even when her ‘prince charming’ Eliot rejects and try to stay away from her. She run away from him, in the beginning, just like Cinderella but then she stands for herself, though still have vulnerable moment. I like this different side of Cinderella, a Cinderella who didn’t just wait for her prince charming to find her.Despite of a few typos, I like the way Aubrey Rose wrote it. She described Hungary clearly and beautifully. I can easily feel the setting and especially love the way she wrote when Brynn tells her eating ritual, it’s so clear I feel sad for Brynn. As my nice first encounter, I’m going to read her other books.